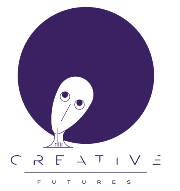 Supported by the European Union, Creative Futures is a two year programme which aims to contribute to the socio-economic development of Ethiopia through strengthening the creative industry. Powered by the British Council, Goethe-Institut and iceaddis, Creative Futures intends to increase the capacity and network of creative professionals in Ethiopia in Visual Arts, Photography, Film, Fashion, Architecture, Graphics design, Animation, Digital art, Game/App/Software Development, Crafts, Sculptor, Printmaking and Pottery sectors to support them build sustainable careers. Creative Futures’ delivery partners will achieve the above aim through the series of projects outlined below.